Use blush that has a highlighter in it, this can create the illusion of high cheek bones that can contour and slim your face. 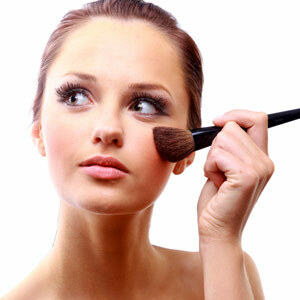 Apply blush to your cheekbones & dust up a little. Try to avoid the area right below your eyes and next to your nose.